If you haven’t noticed, I was quite taken with British food fare as seen in my latest British Invasion series. 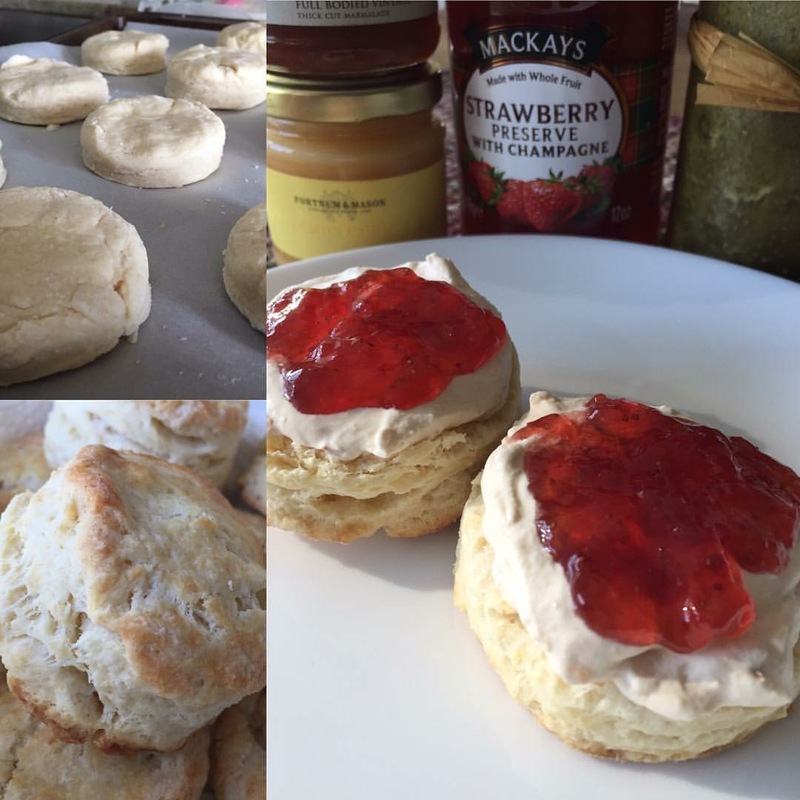 This time, instead of taking the traditional afternoon tea scone and developing a cupcake recipe based on it, I decided to find a recipe for a straight-up scone. It’s super-easy and the only addition I made was that I added a tsp. of lemon zest into the dough. Added bonus: done without the use of my standing mixer. Sometimes a mixing bowl and a wooden spoon is all you need. In a measuring cup, put the buttermilk (including the 1 tbsp). Beat the egg in a small bowl, then pour into the buttermilk. Stir to combine. Make a well in the center of the dry ingredients and pour in the egg and buttermilk, (reserving one tablespoon of liquid in the measuring cup). Add lemon zest. Mix gently with a wooden spoon until a dough forms, just about 10 seconds, then place dough onto a clean, well-floured surface. Form into a ball, then pat out, or roll to approximately ¾” in thickness. Do not knead the dough or it will make the scones tough. With sharp cutters, cut out scones and place on silicone baking mat or parchment lined baking tray. Gently knead scraps together and repeat until dough is finished. Using a pastry brush, brush the tops of the scones with the remaining egg/buttermilk mixture.